The DustFX replacement Hepa filter fits the CWI-DCP015H cyclone dust collector as well as other similar built cyclones. 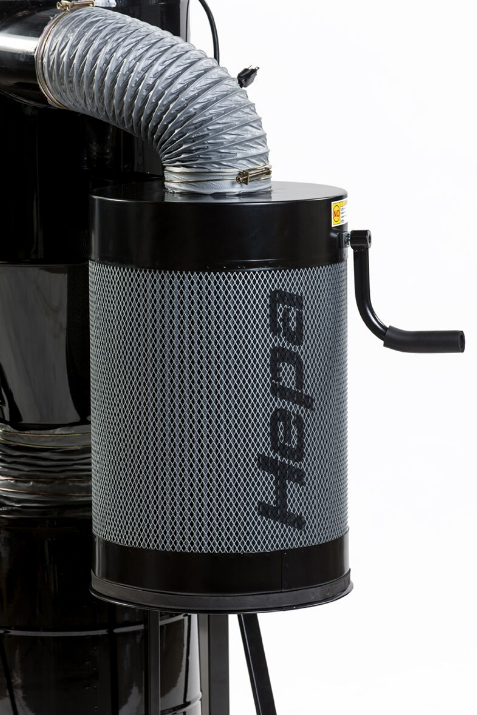 The advanced performance Hepa filtration will filter out 99.97% of dust particles .3 micron and 100% of all dust particles .5 micron and larger. To clean the canister filter simply move the cleaning handle a few rotations upon completion of each use.